USA Triathlon has announced details for the Sarasota-Bradenton Triathlon Festival, a weekend of elite and age-group triathlon racing set for Oct. 13-14 in Sarasota, Florida. All races will be held for the second consecutive year at Nathan Benderson Park, a 600-acre community park operated on behalf of Sarasota County by the nonprofit 501(c)(3) organization Suncoast Aquatic Nature Center Associates, Inc. (SANCA). The ITU Triathlon World Cup will draw top elite triathletes from around the globe as they compete head-to-head for a share of a $60,000 prize purse, with equal payouts for men and women. The race will double as the USA Triathlon Elite National Championships, with the top U.S. male and female finishers earning the title of national champion. The elite men’s and women’s course features a multi-loop 750-meter swim, 18.3-kilometer bike and 5-kilometer run through Nathan Benderson Park. Top U.S. athletes on the men’s start list include defending national champion Kevin McDowell (Geneva, Ill.); five-time ITU World Cup medalist Matt McElroy (Huntington Beach, Calif.); and Eli Hemming (Kiowa, Colo.), who was the top U.S. man at the ITU World Triathlon Grand Final held in mid-September in Gold Coast, Australia. The women’s start list is headlined by Kirsten Kasper (North Andover, Mass.) and Taylor Spivey (Redondo Beach, Calif.), who finished the 2018 ITU World Triathlon Series ranked fourth and eighth in the world, respectively. Six-time ITU World Cup gold medalist Summer Cook (Thornton, Colo.) and 2017 ITU Under-23 world champion Tamara Gorman (Rapid City, S.D.) will also compete. The ITU Paratriathlon World Cup covers the same 750m swim, 18.3k bike and 5k run course as the elite men and women. Highlighting the U.S. squad are Kendall Gretsch (PTWC, Downers Grove, Ill.), who is currently undefeated in five seasons of elite paratriathlon competition; Elizabeth Baker (PTVI, Signal Mountain, Tenn.), who placed fourth at the Rio 2016 Paralympic Games; and Joel Rosinbum (PTS4, Austin, Texas), a two-time ITU Paratriathlon World Cup medalist. This inaugural race gives U.S. amateur athletes the chance to compete for national titles in their age groups in the draft-legal style of racing. Draft-legal racing, in which athletes ride in packs and work together on the bike course, is contested in elite ITU competition and is increasing in popularity at the age-group level. While this race has been held as a World Championship qualifier in previous years, it is considered a National Championship for the first time in 2018. The race will feature a 750m swim, 18k bike and 5k run. 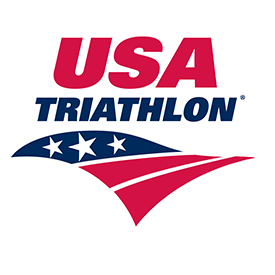 Top finishers in each age group will qualify to represent Team USA at the 2019 ITU Age Group Sprint Triathlon World Championships in Lausanne, Switzerland, which are also draft-legal. Triathlon mixed relays will debut as a medal event at the Tokyo 2020 Olympic Games, and the CAMTRI Mixed Relay American Championships are an opportunity to showcase this fast-paced race format on U.S. soil. The elite international race will feature 19 teams from eight countries, each comprised of two men and two women. In this spectator-friendly discipline, each athlete completes a 300m swim, 6.4k bike and 1.5k run before passing off to the next teammate, with the fastest combined time winning the race. Seven U.S. squads are set to compete, featuring many of the same athletes racing in Saturday’s ITU World Cup. Team USA earned a gold medal at the 2016 ITU Triathlon Mixed Relay World Championships, collected the world silver medal in 2017 and took bronze in 2018. For complete event information for the Sarasota-Bradenton Triathlon Festival, visit usatriathlon.org.sbtrifest2018. Complete start lists and course maps for all elite races are available at triathlon.org.